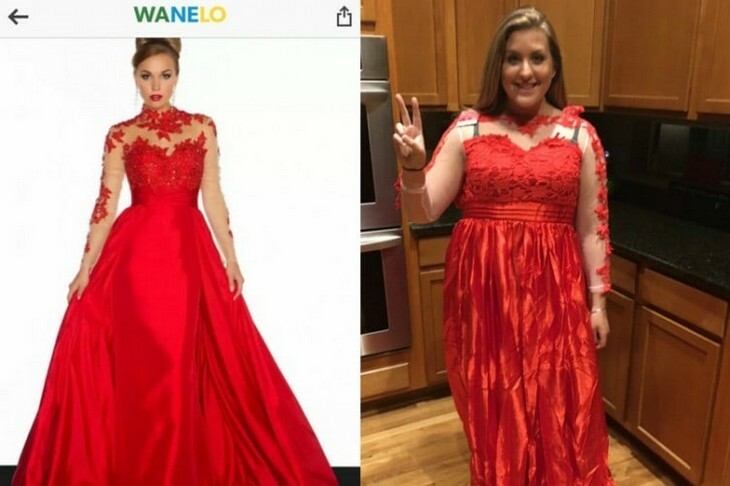 Ahhh, prom...that special day that most of us graduate just to get to it, holds special memories for everyone that goes to it. 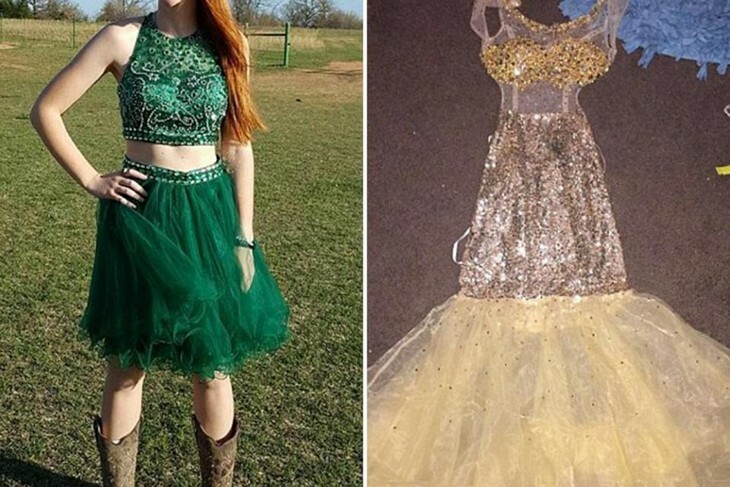 Towards that night, teens all over America invest their (or their parents) hard earned money on a limo, a corsage and the highlight of prom - the dress. 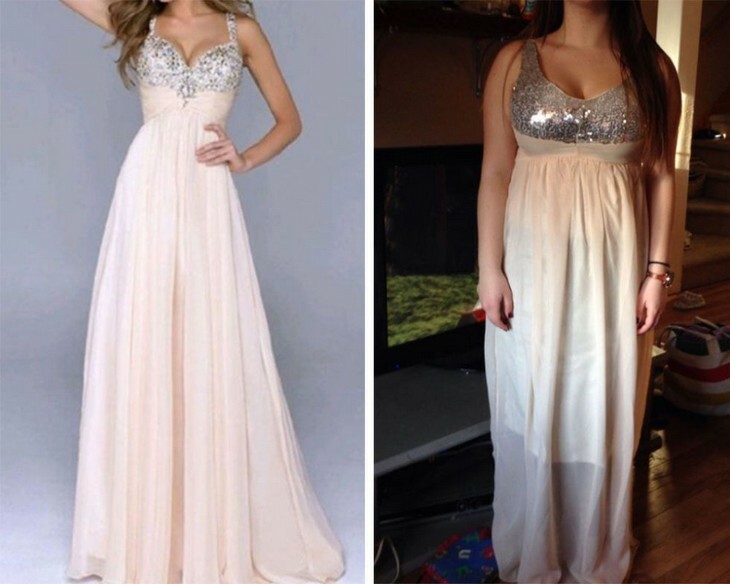 Those pretty prom dresses used to cost a pretty penny back in the day, but with global online shopping it all changed. 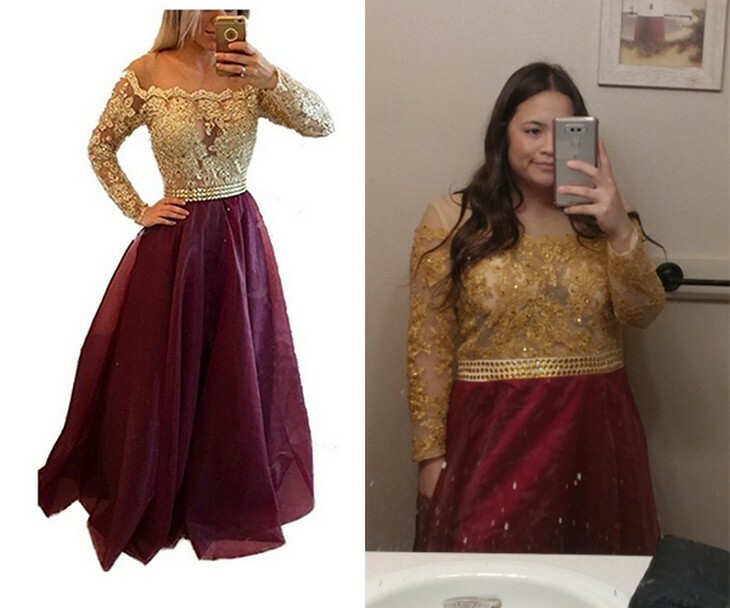 Nowadays teenage girls can buy the dress of their dreams for less than 100 dollars without even trying it on, but this is where trouble starts... 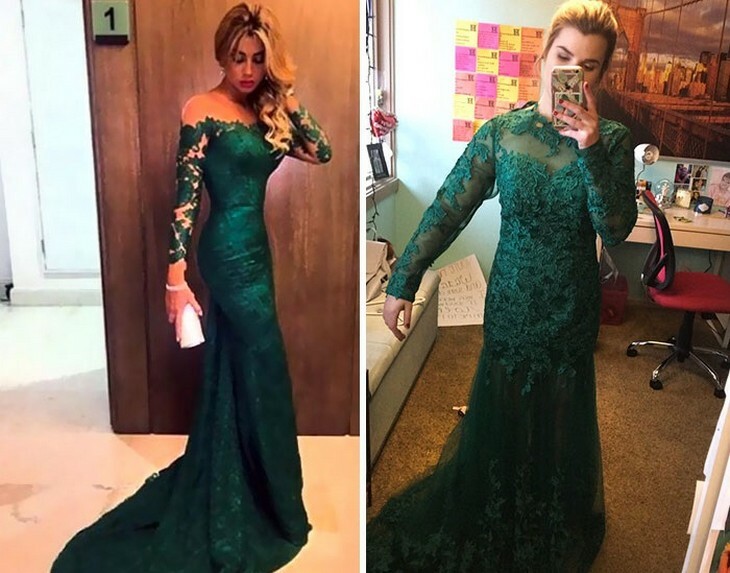 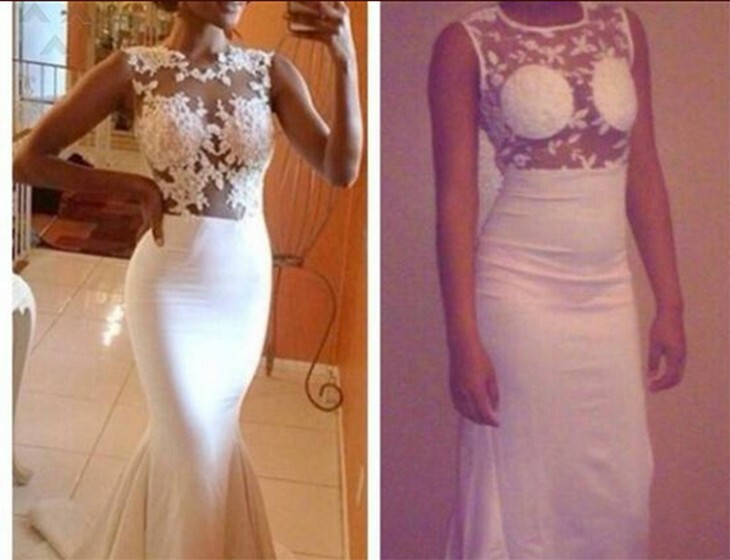 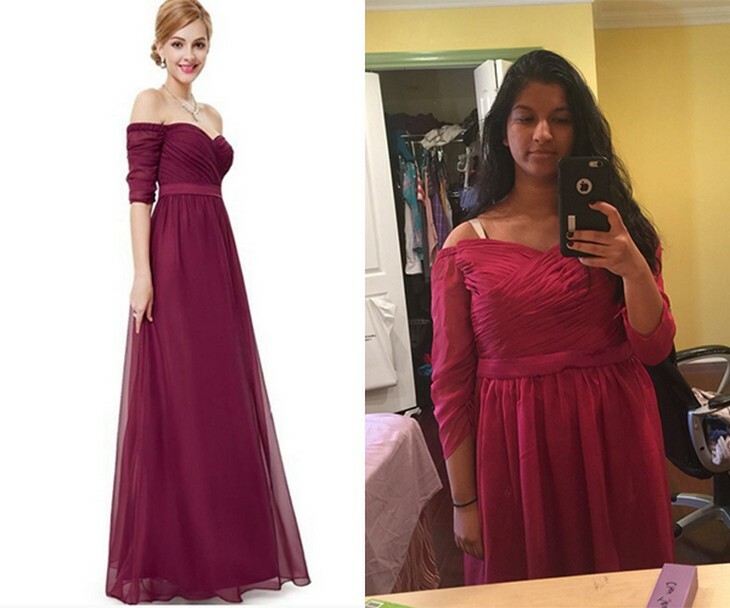 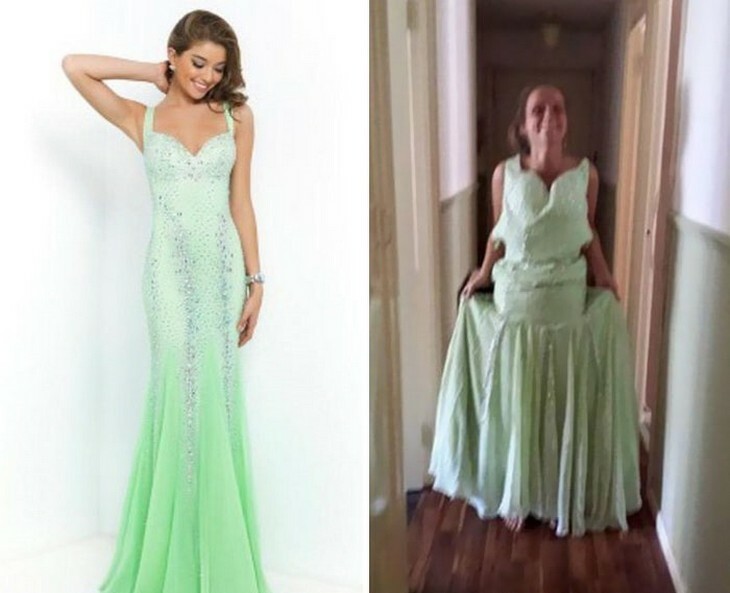 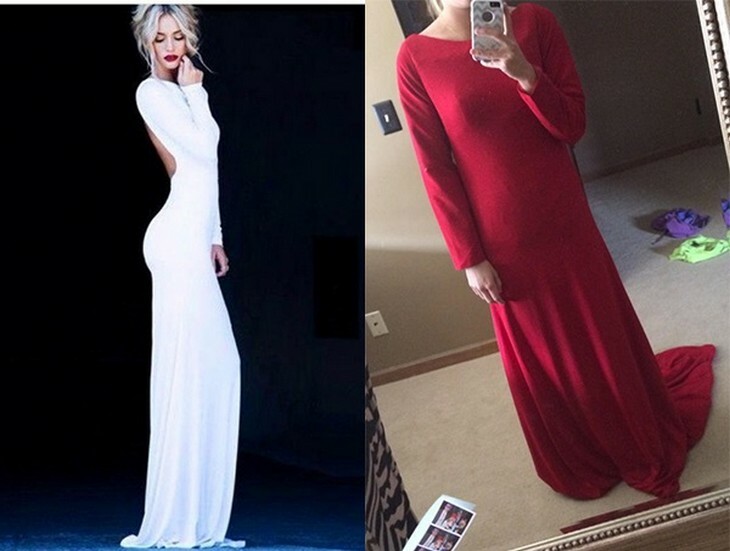 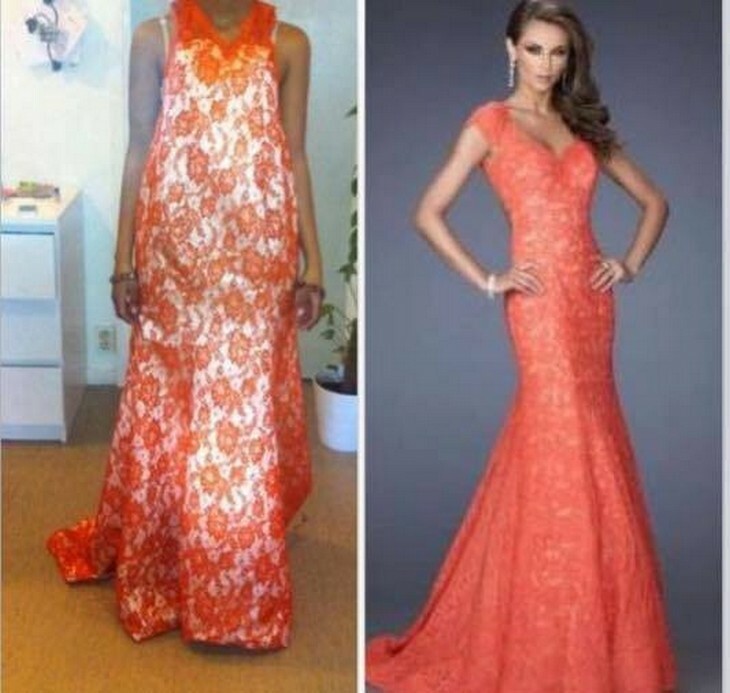 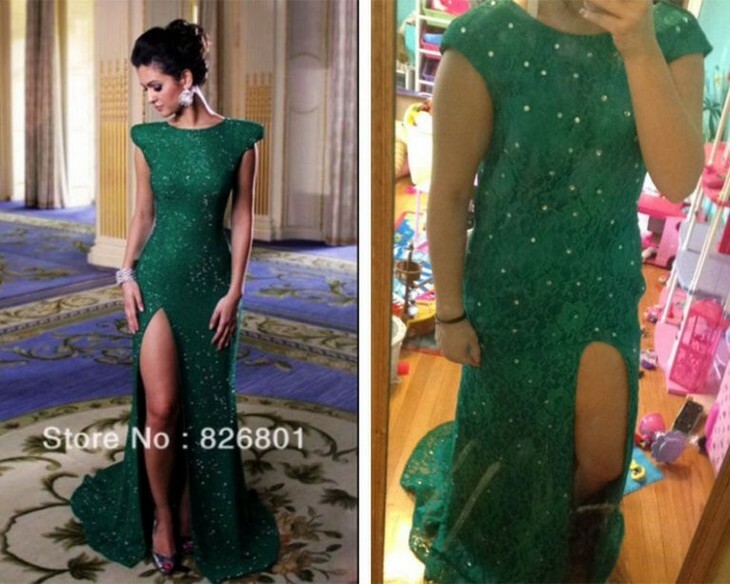 These 15-hilarious prom dress fails show how far the distance between expectation and reality can be, but at least it made the girls' prom night even more unforgettable, and just as important - funny as hell. 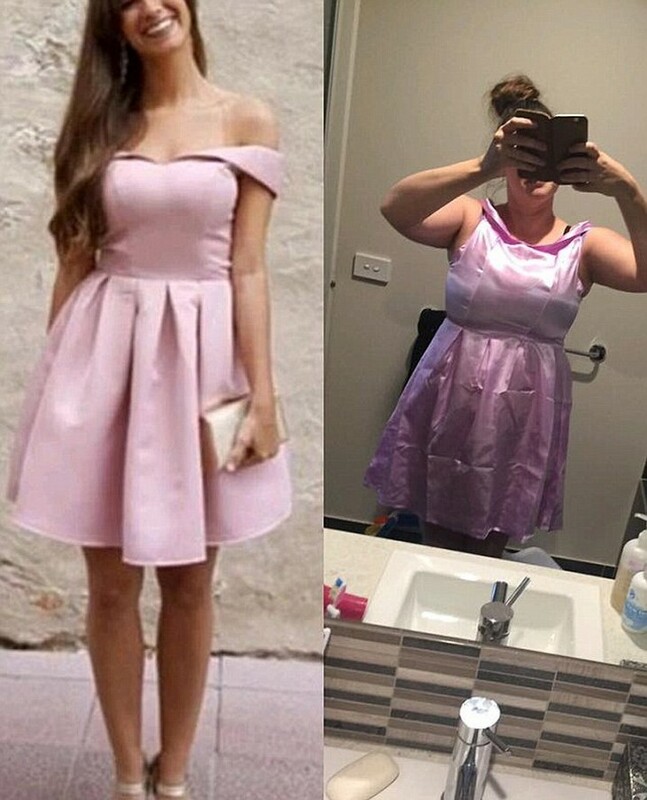 A great match. 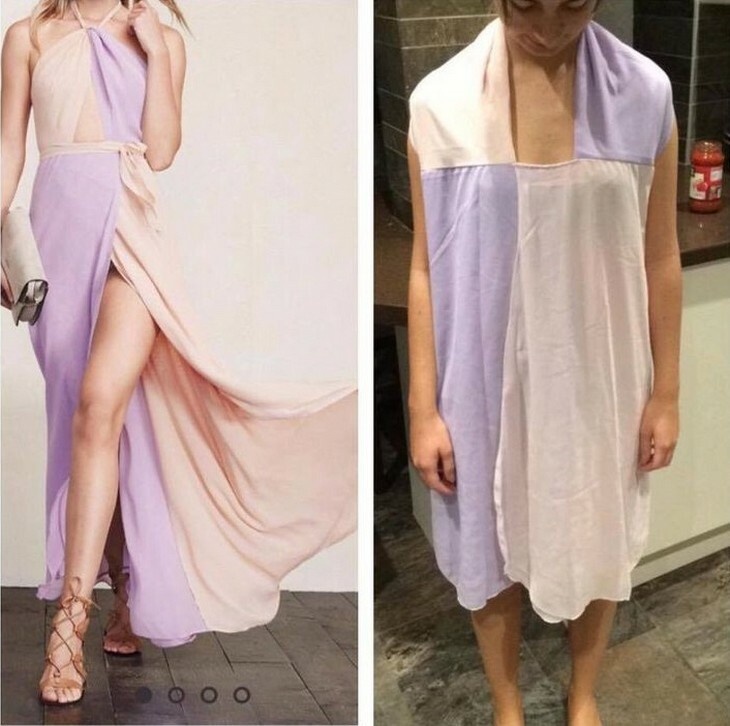 if your'e color blind. 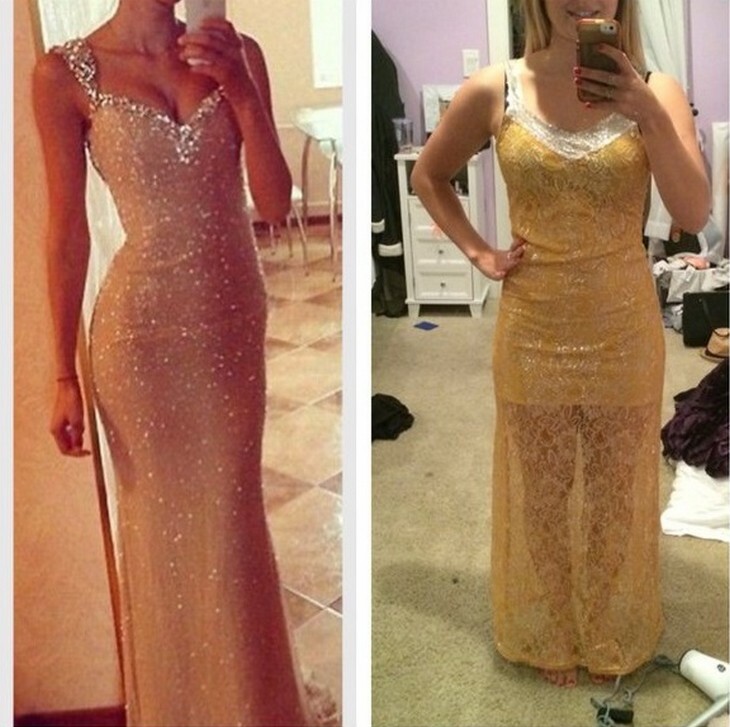 Who needs glitter and gold when you have yellow and bland?